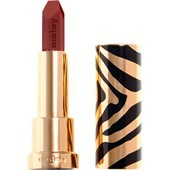 Caring lipstick for a colour-intensive result as a lip gloss and a full of shine as a lipstick. 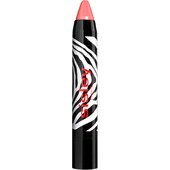 The creamy and very pleasant texture is light and provides the lips with caring ingredients. 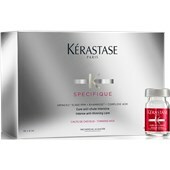 Its caring formula offers both intense shine and also full softness. Kokum and mango butter moisturise*, protect the lips and ensure a pleasant skin feeling. Film building polymers ensure rich shine through its transparency and give the lips more shape and volume. 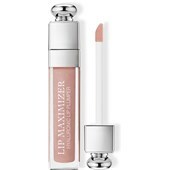 In this way the lips get a radiant, shiny finish. Sucrose esters make them soft, create a pleasant skin feeling and provide shine. The result: the lips are soft, moisturised (+31% in 30 mins) and protected against external environmental influences. Dry lips are calmed and repaired. Apply Phyto-Lip Shine directly onto your lips, either on its own for a transparent lip colour or over Rouge à Lèvres Hydratant to give your lips more volume and shine.